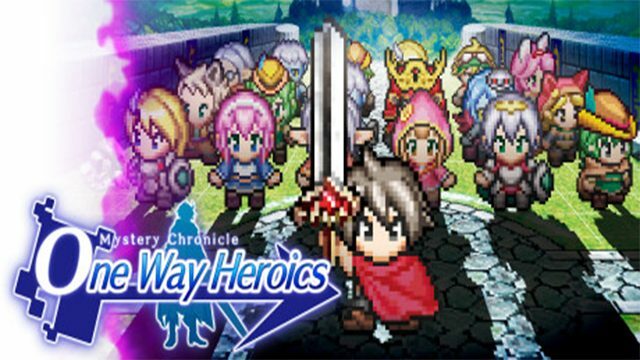 Spike Chunsoft launched a steam page for their game Mystery Chronicle: One Way Heroics, coming to PC-via Steam on September 13, with a digital only release on PlayStation 4 and PlayStation Vita sometime this Summer. The game will be Spike Chunsoft’s first self published title in the West. Additionally, it features a unique battle system with retro-style graphics. Expect a few cameos from characters of some of their other IPs including, Danganronpa and Shiren the Wanderer. There’s currently no information on the release date of the PlayStation 4 and PlayStation Vita versions of the game. We’ve reached out to Spike Chunsoft to see if the console and Steam release will share the date. Forget about saving the king, forget about saving the townsfolk, a true hero is one who saves the day! Once you begin Mystery Chronicle: One Way Heroics, there is no turning back. Play your way through the different maps generated with every playthrough, constantly on the move away from the calamity of light, the Shine Raid, to your left and on to your final battle with the Fallen Angel, Alma. There’s no turning back, once this thrilling one-way adventure begins! Epic battles together with the comrades you meet, and the chance to unravel the mysteries of these worlds. The Shine Raid consumes everything in its path and moves with every action you take! Do you risk taking a detour for loot, or do you play it safe and put more distance between yourself and annihilation? With over 20 classes to choose from, no two adventures will ever be the same! A quirky cast of NPC allies will always be there to keep you company—so long as you take care to keep them alive. English and Japanese Interface, Subtitles and Full Audio!